1771 Forest Avenue Extension Jamestown, NY. 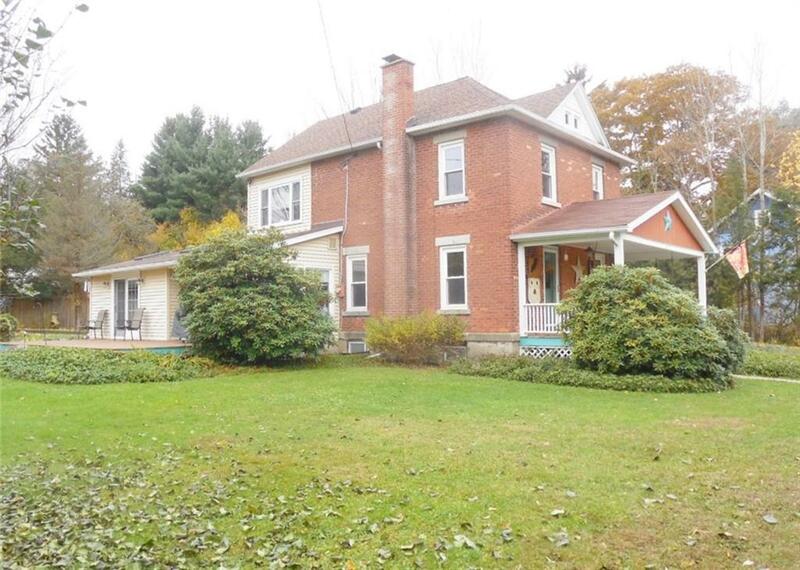 | MLS# R1165119 | Chautauqua Lake Real Estate. Specializing Chautauqua Lake helping Buyers and Sellers since 1985. Town of Busti century home is smitten w/irresistible charm & the location is the perfect middle ground for a suburban/rural setting as well as easy access to amenities.The home is set on a lovely 3.56 acre tree studded site offering an attractive rolling topography, a walking path & a great place for bon fires on those star lite summer nights. This rustic country style home boasts approx 1800 sq ft of quality casual living. There are 4 bedrooms & 2 baths. The kitchen & baths are updated. There is a 1st floor family room w/lots of glass & the living room has built ins & a gas stove. There is a detached garage w/loft storage, attached carport & a workshop. The kids will enjoy the above ground swimming pool. Zoning is CR (conservation/residential) Call to set up your appointment today.